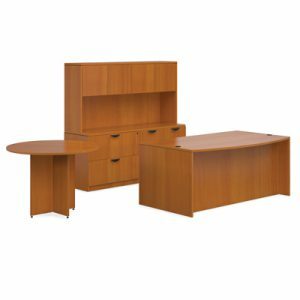 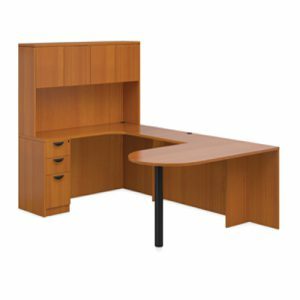 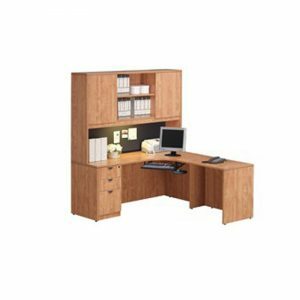 This Classic ‘Peninsula’ Workstation features a contemporary bullet shaped peninsula desk with radius corner unit, box/box/file pedestal and optional four door hutch. 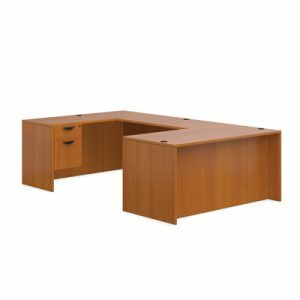 This Performance Classic ‘Peninsula’ Workstation boasts a contemporary bullet shaped desk with radius corner unit, box/box/file or file/file pedestal and an optional four door hutch. 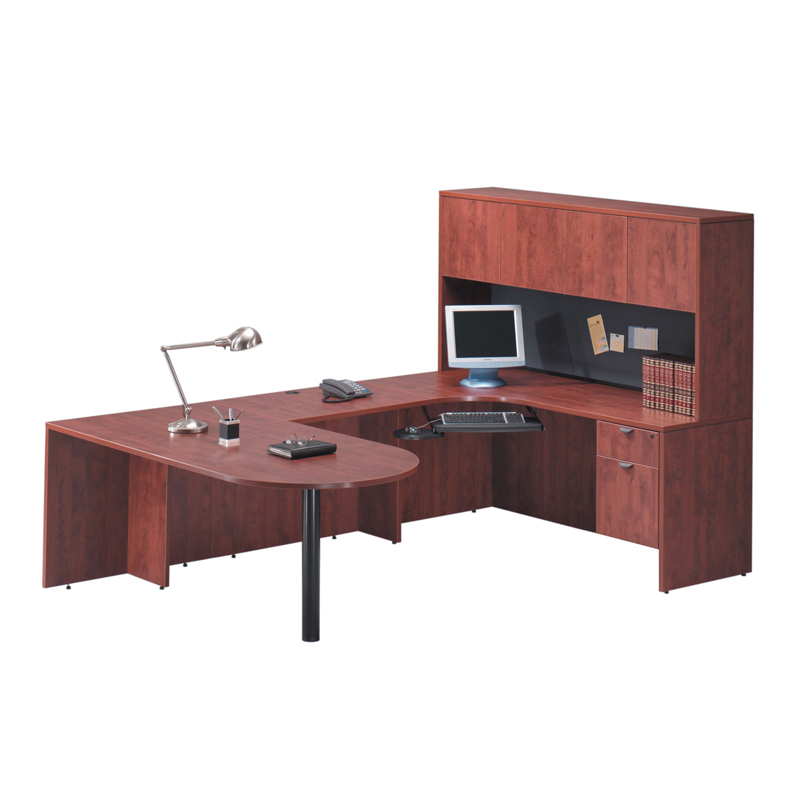 This workstation is fully reversible.